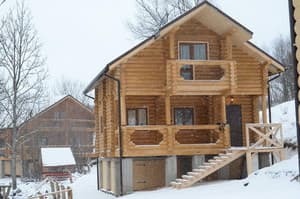 The resort complex "Cottage town Izki" is located in the village of Izki at the foot of the mountain Magura, 20 km from the village of Mezhgorye. 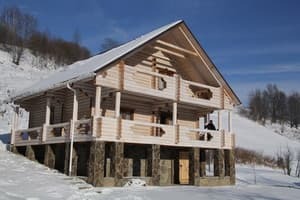 For living guests are provided two-storey eco-cottages, built of natural wooden beams. Cottages have different layouts, number of rooms, and are designed for accommodation from 4 to 10 people. Several cottages are rented by numbers. 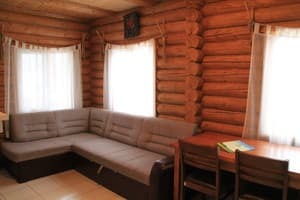 Each cottage or a separate room has its own bathroom, TV, beds and sofas, all the necessary furniture. 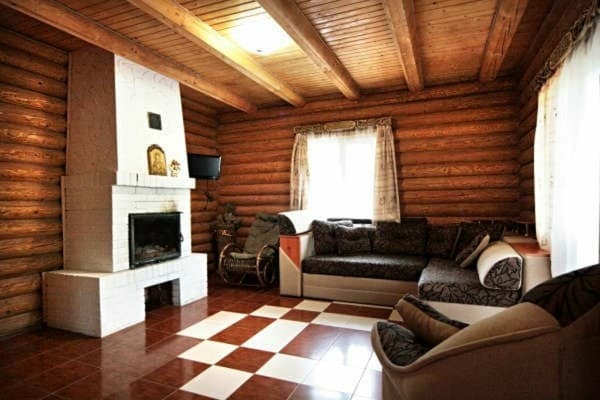 In several categories of rooms and in all cottages there is a fireplace. 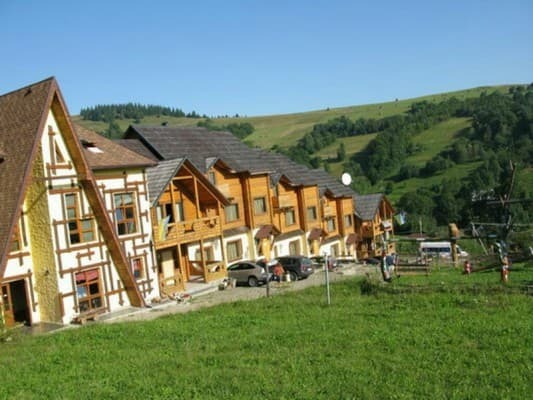 Restaurant "Magur" and "Kolyba", where you can order dishes of Ukrainian and European cuisine is located 50-150 meters from the cottages. Products for the restaurant are grown at the resort's own farm. 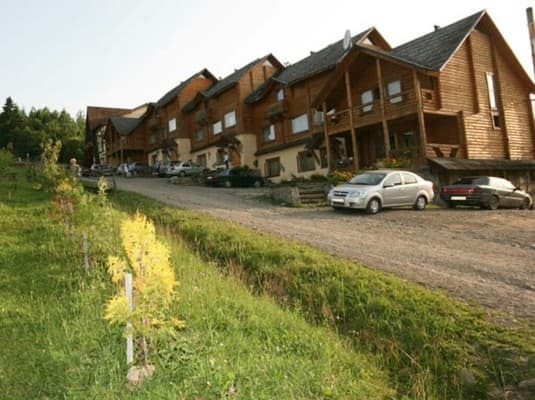 In winter, the resort has a ski lift, equipment rental and a ski school. 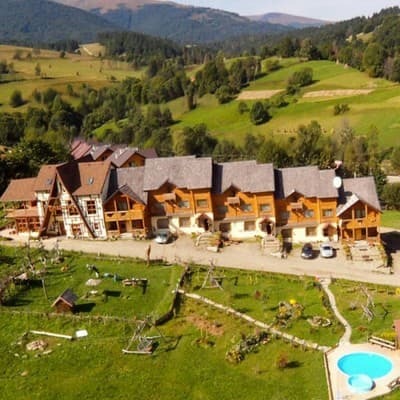 You can go on an excursion to the natural park "Sinevir" (50 km), to the waterfall "Shipot" (9 km), to the bee farm; go horseback riding, ride a bike, quad bike, or get better at the spa center of the resort. Distance to Ivano-Frankivsk - 144 km, the city of Lviv - 203 km. Description of the room: There is one double bed in the room. Two rooms of this category have a sofa bed and the possibility of providing extra space. Description of the room: Two-storey cottage with kitchen, living room (folding sofa), three bedrooms (double beds) and three bathrooms. There is an opportunity to provide additional seats. 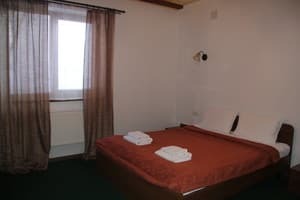 Description of the room: In the room there is a double bed and a sofa. It is possible to provide additional space. Description of the room: Two-room suite with kitchen-living room (sofa bed) and bedroom (double bed). One of the rooms in this category has a fireplace. It is possible to provide additional seats. Description of the room: Two-storey cottage with kitchen, living room (folding sofa), three bedrooms (double beds) and four bathrooms. It is possible to provide additional seats. 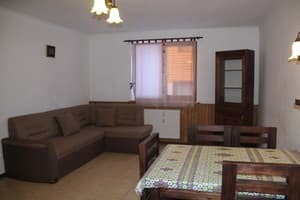 Description of the room: Two-storey cottage with kitchen-living room (sofa bed), three bedrooms (double beds) and three bathrooms. It is possible to provide additional seats. 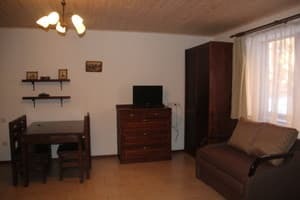 Description of the room: The room has a kitchenette, a living room (sofa bed) and 3 bedrooms with double beds. One of the rooms in this category does not have a fireplace and a kitchenette. It is possible to provide additional seats. Description of the room: Two-storey cottage with a kitchen-living room, three bedrooms and three bathrooms. On the first floor there is a kitchen-living room, a bedroom, a bathroom; on the second floor are two bedrooms and bathrooms. 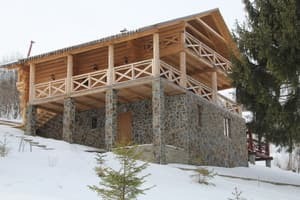 Description of the room: Two-storey cottage with a terrace, a living room with a fireplace, three bedrooms and four bathrooms. On the first floor there is a kitchen-living room, a bedroom, 2 bathrooms. On the second floor there are two bedrooms and two bathrooms. It is possible to provide additional seats. 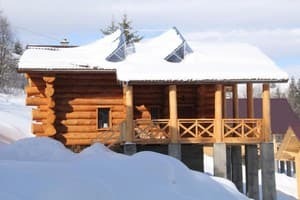 Description of the room: Two-storey cottage with a terrace, kitchen, living room, two bedrooms and three bathrooms. On the first floor there is a kitchen-living room, a bathroom; on the second floor there are two bedrooms and two bathrooms. It is possible to provide additional seats. Природа изумительная. 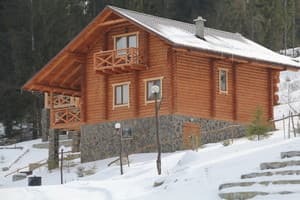 Питание в ресторане хорошее. Жили в номере в коттедже, условия вполне приличные, но были перебои с водой, о которых администрация не предупредила. Разных развлечений достаточно, особенно порадовал бассейн, на майские с погодой повезло. В целом понравилось, хотя и дороговато по меркам Карпат. On the eco-resort territory there are two restaurants "Kolyba" and "Magur", where you can order dishes of Ukrainian and European cuisine. "Cottage town Izki" is located in the village of Izki. 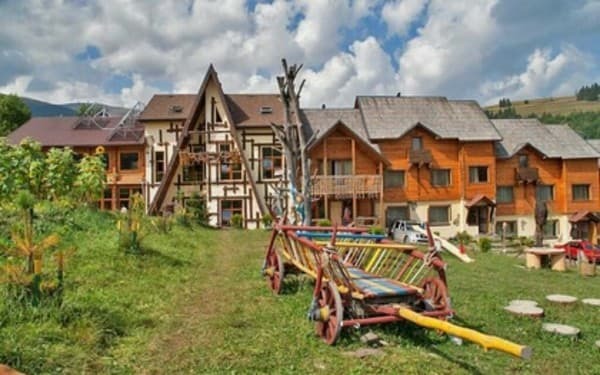 The distance to the lake "Sinevir" is 50 km, to the waterfall "Shipot" - 9 km, to the village of Mezhgorye - 20 km, to the city of Ivano-Frankivs - 144 km, to the city of Lviv - 203 km. The hotel has a spa, where you can order wellness and beauty treatments, as well as massages. By train "Lviv-Volovets" (Uzhgorod direction), from Volovets station by taxi to the village of Izki. By car along the highway "Kiev-Lviv-Chop" (E50 / M-06) to the Lower Gates, turn left to Volovets, from Volovets 20 km to the village of Izki.